Can Cats Eat Potatoes? How About Sweet Potatoes? February is a month of spuds, including Potato Lovers Month and National Sweet Potato Month. Are these veggies safe to share with our cats? February is a big month for fans and producers of potatoes and their distant cousins, sweet potatoes! It’s not only Potato Lovers Month, but also National Sweet Potato Month. Maybe you’re preparing the garden in anticipation of spring planting season. Perhaps you’re eager to try out another recipe for homemade cat food from items you’ve gathered at the farmers market. In any case, you’ve just carried a 10-pound bag of potatoes or sweet potatoes into the kitchen, when your cat walks in to greet you. When it comes to feline nutrition, we’re always looking out for healthy snack ideas or wondering which of our favorite organic foods might be safe to share with our cats. 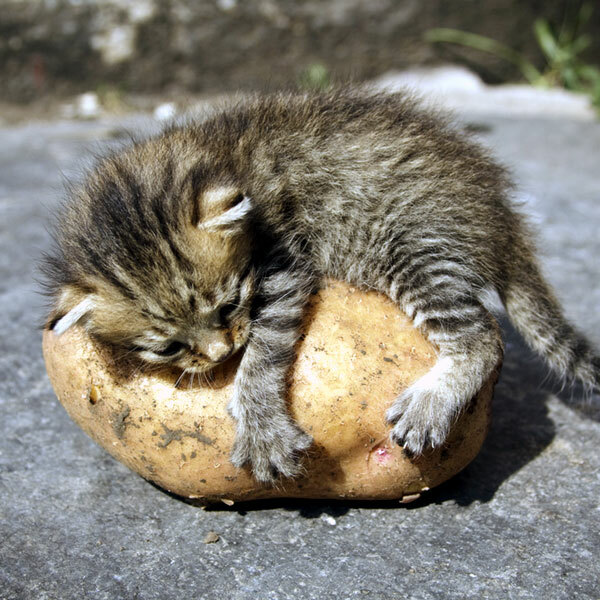 In honor of this tuber-tastic month, we’ve looked into the nutritional content of potatoes and sweet potatoes and their potential benefits and drawbacks for our beloved cat friends and kitten pals. Let’s dig in! If you’re growing potatoes in your garden or on your urban farm patch, be careful that your cats are fed before they join you outside on any given Caturday. 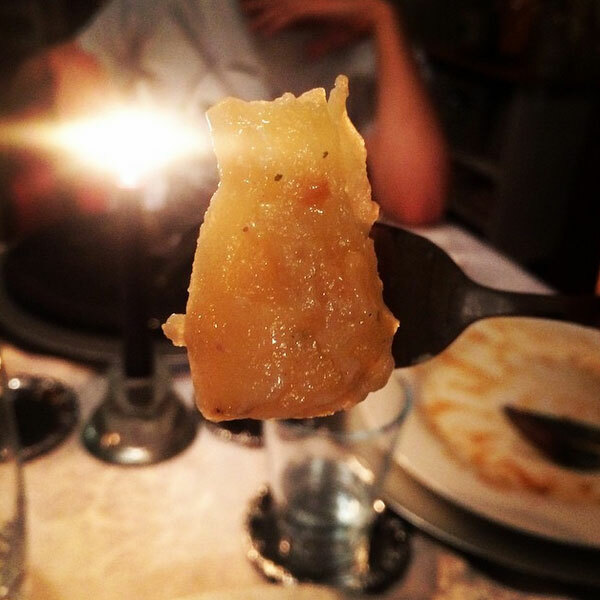 Likewise, keep any raw, uncooked potatoes you may have inside the home. Why? Immature, the potato plant, including the green skin of the unripened vegetable, contains a chemical called solanine. Solanine is present throughout the growing potato plant as a defense mechanism, a poison that repels those that would seek to eat it. 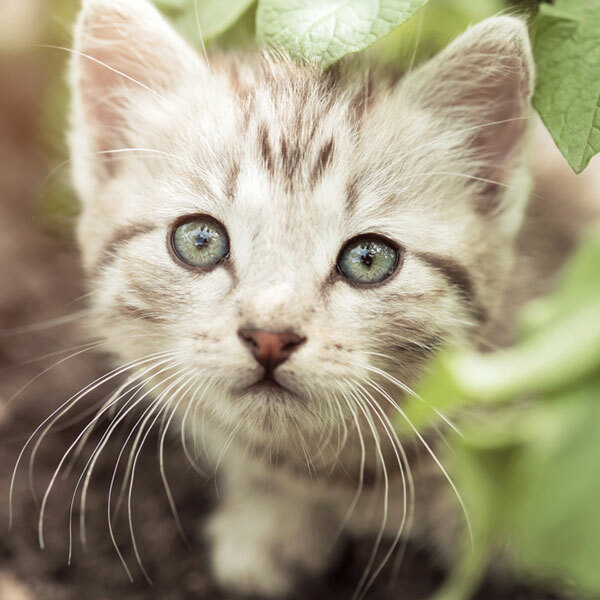 Ingested in great enough quantities, which needn’t be large since cats are small creatures, solanine toxicity from potato plants — as well as tomatoes and eggplants, among other popular gardening and cooking veggies — can wreak havoc on cats and kittens. Raw or unripe potatoes can cause severe digestive upset and negatively affect the nervous system. Confusion, disorientation, vomiting, and diarrhea are common symptoms of solanine poisoning, which can necessitate a visit to the vet followed by a couple of days of recovery. Are cooked potatoes better for cats? 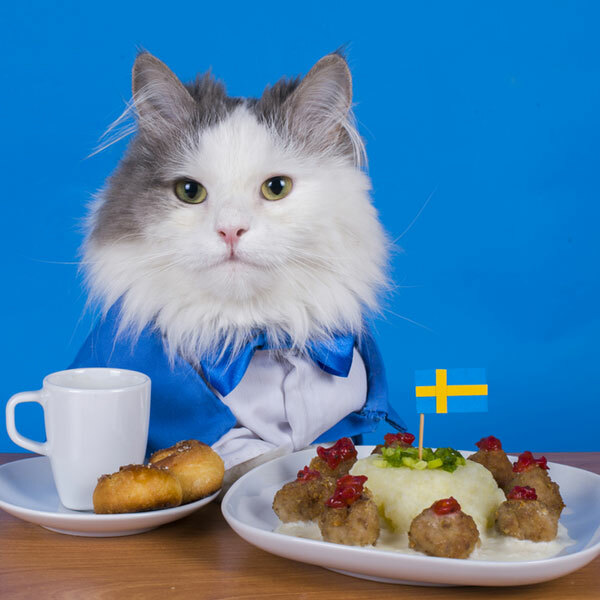 Cooked properly, prepared simply, and served in very small portions, potatoes are not toxic to cats. However, the nutrients in potatoes that make them healthy for cat owners are the very same properties that can lead, over time, to obesity, pancreatitis, and arthritic limbs as our cats age. Potatoes are a staple crop that contain wholesome things like protein, potassium, B and C vitamins, carbohydrates, and fiber. 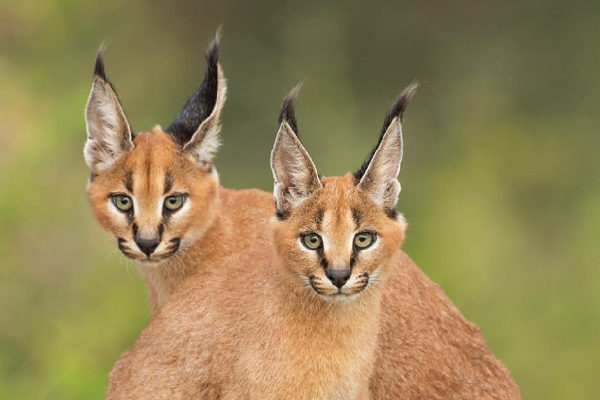 As you may know, cats are obligate carnivores. This means they draw their most essential nutritional needs from meat and the nutrients found therein. The plant-based nutrients they need are to be found, in forms they can easily digest, in the vast majority of commercially available cat foods, both dry and wet. 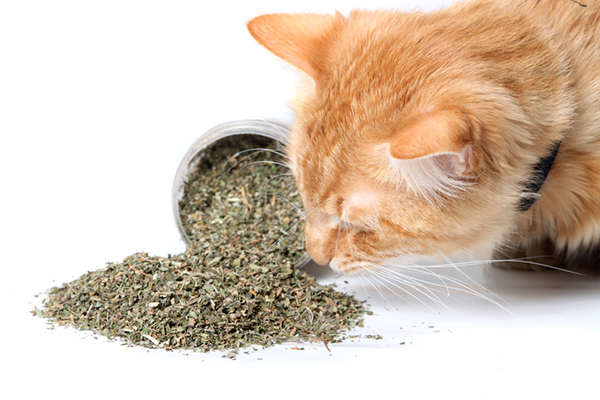 A cat’s digestive system does not produce the enzymes necessary to properly process or digest plant matter. Too many plant-based carbohydrates in their regular diet already leads cats to become overweight, and, in time, to associated health issues. 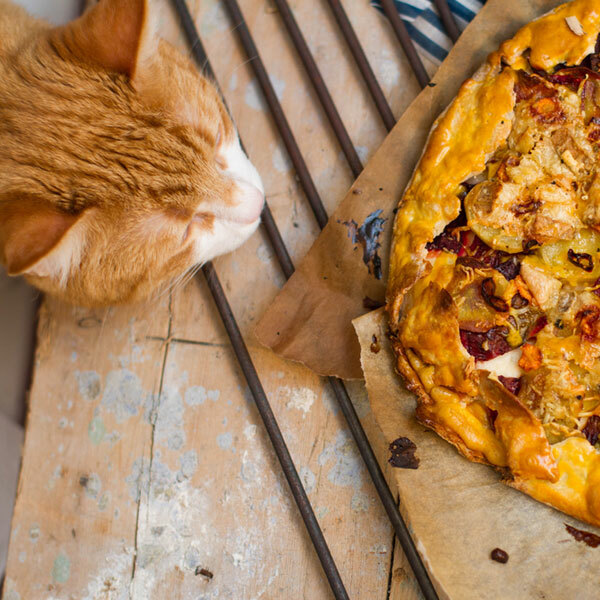 Other potato treats that cat owners enjoy, from potato chips to french fries to baked potato skins, only pile on additional digestive hazards for our cats. Many of these contain undigestible frying oils, or heavy amounts of salt, along with additives that cats have little use for, from cheese to butter. Will it hurt a cat to eat a single french fry or crunch on an occasional potato chip? No, but neither do our cats benefit from them. Sweet potatoes are only distant relations to standard spuds. Since they are not in the nightshade family like the standard potato, they do not contain solanine when they are growing or unripe. There are several types of sweet potato, though, whose vines and flowers do contain properties that make ingestion toxic to cats, according to the ASPCA. As with any vegetable that contains proteins and carbohydrates, it’s important to remember that while sweet potatoes are healthy foods for humans, they are difficult for cats to digest. A small bit of a dehydrated sweet potato slice may appeal to your kittens and cats as an unusual or occasional treat, but only in the limited quantities that they can handle. The same goes for a touch of cooked, boiled, or baked sweet potato, free of additives, spices, or toppings. This rules out that delicious and fragrant sweet potato pie you’re baking, especially if it’s slathered in marshmallow topping. 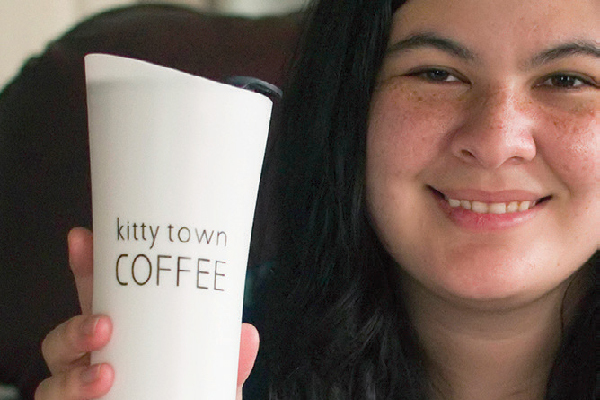 The sugar content alone is too high for your cats and kittens. 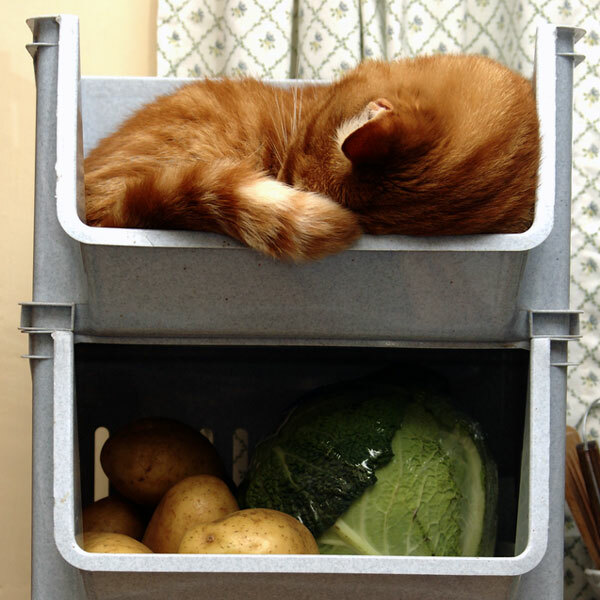 Enjoy potatoes and sweet potatoes … without your cats! Where our cat friends are concerned, the best that can be said for potatoes and sweet potatoes is that, prepared simply and offered in small bits and bites, they offer no immediate danger beyond temporary digestive upset. 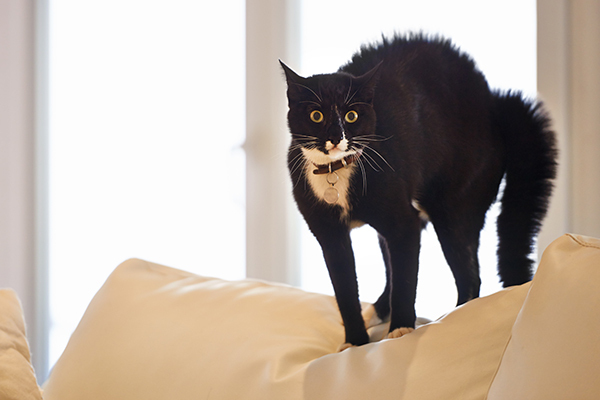 If your cat is suffering from constipation, the fiber content of a potato or sweet potato may actually help move things along. Otherwise, our kittens and cats can show love in their own unique ways, like this tiny fellow. There are much worse things to offer our cats. The occasional bit of mashed potato mixed in with their wonted kibbles, or slice of sweet potato as a special treat, isn’t bad for our furry friends, but it also shouldn’t make up more than a fraction of daily feline food intake. Amateur gardeners, the nation’s potato and sweet potato producers, and their cats have every reason to rejoice. Spring is on its way! How will you celebrate National Sweet Potato month and Potato Lover’s Month this February?